If unfamiliar with recycling it may seem daunting, undesirable, gross, or just plain not fun. Once you start, however, you will find it is quite addicting and rather enjoyable as you realize how much you are saving and preserving in the world. Enjoy learning more about it in these great books below. As people continually throw their books away, the dump man restores and re-circulates them, which only pleases the children, but one day when the dump does not open, only the children know where to possibly find the dump man. I love this book! It has something for everyone- invention, music, and more. It is a deep book that talks about poverty and the struggles of growing up in a lower-income area. However, Ada is an amazing example of someone who doesn't let life happen to her, but does what she needs to create the life she wants. I would read this story even without my little one, as it is just a story that reaches the heart and helps us all take a deeper look into our lives. This true story is almost hard to believe as the Garbage Barge travels up and down the coast trying to find someone who will take the load of garbage it's carrying. It will really make you think reducing your garbage footprint. As a big fan of the work of Red Nose Studio, I also enjoy the illustrations in this story. When a little town on Long Island is inundated with garbage, its citizens become more environmentally aware, while a garbage barge travels the North American coast in search of a dumping location. Introduces trucks, diggers, and other construction and excavation vehicles, including dump trucks, bulldozers, logging trucks, and steamrollers. You can keep that trash and reuse it in all kinds of wonderful ways! Do you see that old jar? Don’t throw that away! You can turn it into...a new vase! Follow an eco-conscious super hero as he teaches kids how to recycle and reuse common household items! The six large flaps throughout show that oridinary trash is really a treasure. From turning old clothes into fun costumes or an old box into a brand new car, kids will learn that saving the environment is super cool! Once a month--every week in the summer--Steve the electrician dons special gear and, with the help of youngsters who live in his building, dives into a dumpster seeking useful objects that they can transform into imaginative new ones. Uses color illustrations and simple text to explore the importance and benefits of recycling bottles, cans, plastic, clothes, and paper. Original. A new “green” series! : Little Green Books will educate children on what they can do to be more eco-friendly. 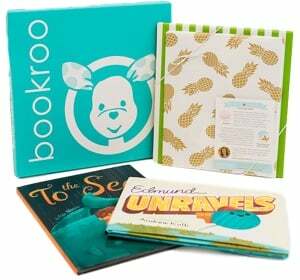 The books in this line will be made from recycled materials, and the storylines will cover subjects such as improving the environment, learning about endangered animals, recycling, and much more. Meet Max the Little Monster. He is a cute, furry green monster who is an environmental nightmare. Among other things, he leaves on all the lights, keeps his computer plugged in, blasts the TV, hoards his old toys and uses so much toilet paper it clogs the toilet until finally, his excessive ways cause a power outage. With no TV to watch, computer to play on, video games to play with, Max finds there is a whole big world outside that he can make a difference in the environment. Kids can follow Max the Little Green Monster's journey to environmental awareness and learn tips on how they can become little green monsters themselves. A kid-friendly glossary of terms is included in the back of the book. This 8x8 paperback is perfect bound and will be printed on 100% post-consumer waste recycled paper with soy-ink. The paper is FSC certified. The illustrations in this book are very fun (Caldecott Honor book, so you'd expect nothing less!) and my favorite part is how detailed they are, with fun little references to Fiddler on the Roof and other cultural phenomena. It is a little moralizing (but it says it will be right up front and doesn't pretend to anything else!) but the lesson is a great one in our throw it away world...reuse and reinvent! With his signature blend of playfulness and sensitivity, bestselling author Todd Parr explores the important, timely subject of environmental protection and conservation in this board book. This adaptation of The Earth Book includes child friendly reasons to love our planet--from appreciating a beautiful tree to taking care of animals all around the world. Equally whimsical and heartfelt, this sweet homage to our beautiful planet is sure to inspire readers of all ages to do their part in keeping the Earth happy and healthy. A rhyming recipe explains how to make the dark, crumbly, rich, earth-friendly food called compost while collage illustrations made with recycled and found materials echo the eco-friendly message. By the author of Millions of Snowflakes. An ALA Notable Children’s Book! Now in a sturdy board book, this edition is perfect for fans of things that GO! Dump it in, smash it down, drive around the Trashy Town! Meet Mr. Gilly. He cleans up Trashy Town. There’s trash at the pizza parlor, trash at the school, and trash at every house. It’s a big job, but Mr. Gilly does it with a big truck, a big smile, and loads of style. David Clemesha and Andrea Zimmerman have created a rhythmic, repeatable refrain that will have children clamoring for repeat readings, and internationally acclaimed illustrator Dan Yaccarino’s dynamic art puts the zip in Mr. Gilly’s stride and adds style and charm to trash collection. Luke is a wise, confident, and caring young boy. After seeing first-hand the damage caused to the environment and animals due to trash and waste, he's changed his ways and now thinks and acts green. He believes he can have a big impact on the world around him and protecting the planet has become his new passion.Using his helpful phrase, "Not for me, please! ", he shares examples of how he chooses differently than others to act green. Luke hopes he can teach you why plastic, not recycling, and overconsumption are harmful to our planet and what you can do to impact this with the choices you make.Lastly, for our big readers, he's included some interesting facts, definitions, and statistics on the bottom of some pages to help explain the scenario being discussed in more detail. With this information, he hopes to better equip you to explain to your young reader what Luke is sharing or answer some of the questions that may pop up! The mercurial Judy returns - and she's in a mood to take on the world! Judy Moody did not set out to save the world. She set out to win a contest. A Band-Aid contest. It all started with the Crazy-Strip contest - and the dream that she, Judy Moody, might one day see her very own adhesive-bandage design covering the scraped knees of thousands. But when her "Heal the World" motif merits only an honorable mention, Judy Moody realizes it's time to set her sights on something bigger. Class 3T is studying the environment, and Judy is amazed to learn about the destruction of the rain forest, the endangered species (not) in her own backyard, and her own family's crummy recycling habits. Now she's in a mood to whip the planet into shape - or her name isn't Judy Monarch Moody! Learn about recycling from a new perspective! Peek into this diary of a plastic bottle as it goes on a journey from the refinery plant, to the manufacturing line, to the store shelf, to a garbage can, and finally to a recycling plant where it emerges into it's new life...as a fleece jacket! Told from the point of view of a free-spirited plastic bottle, kids can share in the daily experiences and inner thoughts of the bottle through his personal journal. The diary entries will be fun and humorous yet point out the ecological significance behind each product and the resources used to make it. Readers will never look at a plastic bottle the same way again! The adventure begins when an old farmhouse gets salvaged and recycled into Tiny, a snug little house with a big heart -- and WHEELS! With the help of Big Truck, Tiny sets off across America to discover if he is still a real home.Tiny makes friends on the road, like Shiny the Airstream, Waverly the houseboat, and Buster the skoolie. He even goes to a jamboree! After thousands of miles, Tiny discovers that home isn't a place...it's a feeling in your heart.The irresistible rhymes and delightfully detailed illustrations in this new classic from the creators of Sun Kisses, Moon Hugs are sure to enchant children - and the book's gentle messages about sustainable living and working together will delight parents and teachers as well. "Plastic bags are cheap and easy to use. But what happens when a bag breaks or is no longer needed? In Njau, Gambia, people simply dropped the bags and went on their way. One plastic bag became two. Then ten. Then a hundred. ... Something had to change. Isatou Ceesay was that change. She found a way to recycle the bags and transform her community"--Jacket. Explains how reducing, reusing, and recycling can help decrease pollution, and provides examples of how to do these things, including finding new uses for hand-me-downs and placing bottles in collection areas instead of trash cans. Original.